St. Mark's church was consecrated on 16 August 1837. Initially it was a district church within the parish of Northop. 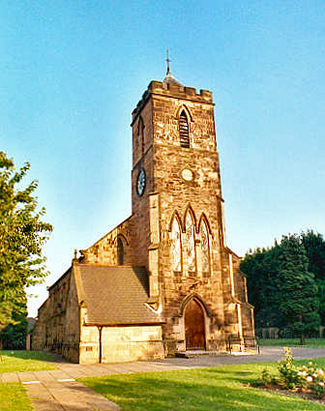 The parish of Connah's Quay (Welsh: Cei Connah) was created on 31 January 1844, from the townships of Wepre, Golftyn, Kelsterton, Leadbrook Major and Leadbrook Minor (all formerly in the parish of Northop). In 1872, the townships of Leadbrook Major and Leadbrook Minor were transferred to the parish of Flint. For family history information about the church and parish, visit the GenUKI Connah's Quay page.